What is the Women’s Funding Network? Q: What is the Women's Funding Network? A: The Women's Funding Network celebrates its 30th anniversary in 2014. The network of funds was originally started by a group of 20 leaders who believed that philanthropy and social changes needed to recognize and include women and girls issues. The WFN is now a network of more than 160 Women's Funds in 30 countries. Today, the Women's Funding Network is the largest philanthropic network in the world devoted to improving the lives of women and girls. For more information, visit www.womensfundingnetwork.org. How do you define eudaimonia? Q: How do you define eudaimonia? A: Eudaimonia is the Greek word used by philosophers that translates to "well-being of the soul." According to Aristotle in his Nicomachean Ethics, the wellbeing of the soul is achieved through arête, defined as living in excellence and virtue. He identifies the moral virtues as prudence, justice, fortitude and temperance. A virtuous life according to Aristotle is a balanced life with neither too much nor too little of each virtue. Are there websites with information on how to volunteer? Q: Are there websites with information on how to volunteer? A: Absolutely. In addition to contacting your local United Way or Community Foundation. These sites offer some wonderful volunteer resources. visit www.networkforgood.org, www.volunteermatch.org, www.pointsoflight.org and www.encore.org. Is there a resource for children’s gifts and books to learn about giving? Q: Is there a resource for children's gifts and books to learn about giving? A: Yes. The National Center for Family Philanthropy has an excellent website, www.ncfp.org. I encourage you to visit the site for both children and adult resources. Correction to last month's "Ask Margaret" book recommendation: Shel Silverstein (not Shel Silverman) is the author of The Giving Tree. Thank you, Lori E. Gold, for bringing this to our attention. Can you recommend a children’s book on the topic of giving? Q: Can you recommend a children's book on the topic of giving? 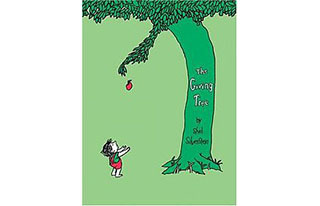 A: The Giving Tree by Shel Silverman, published in 1964, remains a favorite with children and adults. What do gift planners mean by the “ultimate gift”? Q: What do gift planners mean by the "ultimate gift"? A: According Debra Ashton, author of The Complete Guide to Planned Giving, the ultimate gift is "not the method a person uses to give the gift, but rather the magnitude of and the motivation for the gift." She goes on to say, "Ultimate gift fundraising, then, depends on our ability to build and develop long-term relationships with a few special givers." What are some of the organizations that currently evaluate nonprofit organizations and charities? Q: What are some of the organizations that currently evaluate nonprofit organizations and charities? A: Charity Navigator, www.charitynavigator.org; theAmerican Institute of Philanthropy, (Charity Watch) www.charitywatch.org; BBB Wise Giving Alliance, www.bbb.org/us/wise-giving and GuideStar, www.Guidestar.org are all excellent resources. Who described charity as a hallmark and an engine of American democracy? Q: Who described charity as a hallmark and an engine of American democracy? A: Alexis de Tocqueville described charity as a hallmark and engine of American democracy in his book, "Democracy in America," written in 1835. "There is nothing, in my opinion, that merits attention more than the intellectual and moral associations of America." It is true that “tax-savings” is the number one reason why people donate money to charity? Q: It is true that "tax-savings" is the number one reason why people donate money to charity? A: No, absolutely not true. Extensive research has proven that people are first motivated to donate to causes that they believe will make an impact on specific issues or organizations that are meaningful in the donor's life and express the values by which the donor lives. Can you recommend a charitable “primer” for children? Q: Can you recommend a charitable "primer" for children? A: Raising Charitable Children by Carol Weisman is one of the most entertaining and informative "primer" books that includes practical ideas to engage children in activities that are both rewarding to the recipient and the giver. This short guide (125 pages) packs a lot of easy-to-read, down-to-earth and humorous stories of how to create and enjoy meaningful experiences for the entire family while making a difference. At the same time, these experiences teach children and grandchildren what being charitable is all about. Q: What is an ethical will? A: An ethical will is a formal but non-legal document in which the writer shares beliefs and values from past and present experiences and offers their hopes and wisdom for the future to their loved ones and family members. According to Barry K. Baines, MD, author of Ethical Wills: Putting your Values on Paper, the origin of the ethical will dates back to biblical times. Baines says, "Legal wills bequeath valuables, while ethical wills bequeath values." How do you prepare children to manage money and become knowledgeable about philanthropy? Is there a prominent research institution that can synthesize the confluence of women, money and philanthropy? Q: Is there a prominent research institution that can synthesize the confluence of women, money and philanthropy? A: The Women's Philanthropy Institute at The Center on Philanthropy at Indiana University connects the dots among these three issues in their upcoming online conference, "SHEMAKESCHANGE," Sept. 20, 27 and Oct. 4 from 3:30 - 4:30 p.m. EST. The three sessions are: 1) What women really think about money; 2) Unraveling the myths; 3) Change your strategy to change the world. > For more information, download the SHEMAKESCHANGE conference overview.